The 2016 Youth America Grand Prix (YAGP) concluded this past week at the celebrated competition’s finals held in New York City. 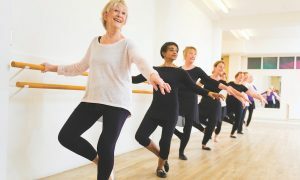 Young dancers, ages 12-19, and from around the world, gathered at the Brooklyn Academy of Music for the culminating three-day event, including the YAGP Final Round and the annual “The Stars of Today Meet the Stars of Tomorrow” Gala, featuring performances by some leading dance stars. 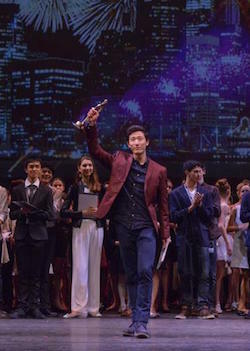 YAGP Grand Prix recipient, Korea’s Joonhyuk Jun of the Royal Ballet School. Photo courtesy of YAGP. This year, YAGP’s top awards went to the Grand Prix recipient, Korea’s Joonhyuk Jun of the Royal Ballet School, and the Youth Grand Prix recipient, Portugal’s Antonio Casalinho of Annarella Academia de Ballet e Dança. For the Senior Division, dancers ages 15-19, the women’s first place went to Yu Hang of Shanghai Dance School (China), and Narcisco Alejandro Medina Arias of Escuela Nacional de Ballet Fernando Alonso (Cuba) received first place among the men. In the senior women’s division, Thays Golz of Raca Centro de Artes (Brazil) placed second, and Makensie Henson of Prudence Bowen Atelier (Australia) received third place. 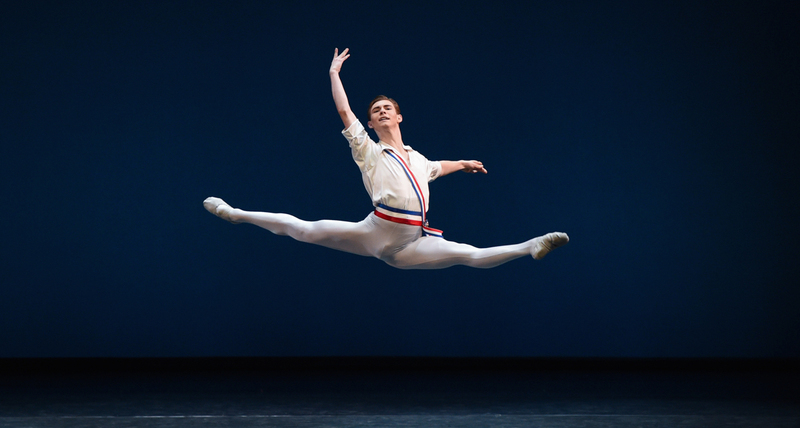 For the senior men, second place went to Stanislaw Wegrzyn of Ballett-Akademie Hochschule fur Musik and Theater (Germany/Poland), and Motomi Kiyota of Mitsuko Inao Ballet School (Japan) placed third. For the Junior Division, dancers ages 12-14, Ashley Lew of Southland Ballet Academy (California, USA) received first place among the women, and Itsuku Masuda of K. Classical Ballet Studio (Japan) won first place in the men’s category for the second year in a row. In the junior women’s category, second place went to Eri Shibata of Kaneta Kouno Ballet Academy (Japan), and third place was a tie between Brigid Walker of Master Ballet Academy (Arizona, USA) and Kotomi Yamada of Yamada Chie Sunny Ballet School (Japan). For the junior men, two ties finished off the top medals: David Perez of En Pro del Talento Veracruzano (Mexico) and Samuel Gest of Indiana Ballet Conservatory (Indiana, USA) for second place, and Sheung-Yin Chan of Jean M. Wong School of Ballet (China) and Yago Guerra of Bale Jovem de Sao Vicente (Brazil) for third place. Madison Penny from Master Ballet Academy. Photo courtesy of YAGP. In YAGP’s Pre-Competitive Age Division, a category for dancers ages nine to 11, the Hope Award went to Madison Penney of Master Ballet Academy (Arizona, USA). 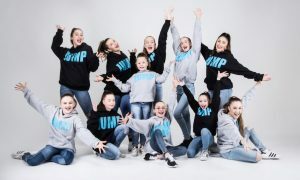 Top-scoring dancers in this category also included Kaylee Quinn of Dmitri Kulev Classical Ballet Academy (California, USA) for the pre-competitive women, and Brady Farrar of Stars Dance Studio (Florida, USA) for the pre-competitive men. Among the Ensembles’ Pas de Deux Classical group, Ellison Ballet Professional Training Program placed first, with a pas de deux from Giselle danced by Gloria Benaglia and Andrii Ishchuk. And in the Ensembles’ Pas de Deux Contemporary category, first place went to Bale do Teatro Escola Basileu França, with a piece titled Olho Nu, danced by Paula Rosa Santana and Vinicius dos Santos Lima. For YAGP’s Special Awards, choreographers Garrett Smith, Travis Wall and Guilherme Maciel received the Outstanding Choreographer Award. The Natalia Makarova Award went to Kenedy Kallas, The Outstanding Artistry Award was given to Rafael Valdez Ramirez, The Mary Day Artistry Award went to dancers Julia Rose Sherrill and Vincenzo Di Primo, the Grishko Award was received by Avery Gay, and the Shelley King Award for Excellence went to Jolie Rose Lambardo. Brady Farrar of Stars Dance Studio. Photo courtesy of YAGP. Each year, YAGP also hosts a gala performance, “The Stars of Today Meet the Stars of Tomorrow”, often a sold-out event that features some of the world’s most celebrated dancers and the finalists of YAGP. 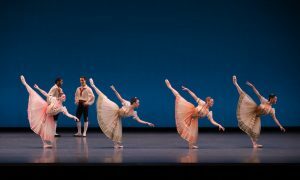 This year, gala highlights included a performance by American Ballet Theatre’s (ABT) Stella Abrera, accompanied by six freestyle male artists, in a world premiere by Josie Walsh. Dutch National Ballet’s Michaela DePrince and Edo Wijnen (both also YAGP alumni) danced George Balanchine’s Tarantella, and Gillian Murphy of ABT, partnered with Stuttgart Ballet’s Daniel Camargo, performed Diana and Acteon, with choreography by Marius Petipa. For more information on the competition, and for a full list of winners, visit yagp.org. Photo (top): 2015 YAGP Senior Finalist Austen Acevedo. Photo courtesy of YAGP.